Seeds of anger are messages we receive which lead to beliefs of entitlement. Specifically, beliefs regarding how we believe other people should treat and regard us. Once you buy into such a belief the next step is a chance encounter where you are disrespected by another person, leading to you experiencing anger. Anger by itself is a normal experience. How we react to anger, however, can be a different story. For example, I don’t buy into the idea that other people must respect me, I fully recognize and acknowledge that I (like other people) am a prime target for disrespect from another person on any given day. So instead of buying into the delusional idea that other people must respect me, I preference my expectations. For example, I prefer to be treated and regarded with dignity by others, in the event I am disrespected, I have the option of removing myself from the situation or verbally asserting a boundary without initiating aggression. The only must and should, I hold another human being to, is the respect of my life and property. As I discussed in my book, Taming the Beast Within, the most effective way to manage your anger is by addressing the irrational beliefs which fuel your anger. These beliefs communicate the idea that your happiness lies outside of yourself. That others are in charge of how you feel. This is simply not the case, you alone are responsible for your happiness. So how do you get rid of your seeds for anger? First, identify any irrational beliefs you have that trigger anger. You do this by first identifying your triggers. If you find you get upset over being insulted, then chances are that you believe that others should not insult you. If this is the case, this is an irrational belief, because you have no control over what other people say. Second, come up with a replacement belief that preserves your dignity while being rational at the same time. A good replacement belief would be, I prefer not to be insulted by others, if I am insulted I will assertively ask the person to stop insulting me, and if the person does not stop, I will remove myself from the situation. The third step is to practice. When practice is not feasible, I normally will invite clients to write down their new beliefs. This begins the process of exploration into the automatic thoughts and beliefs that drive our behavior. Often our thoughts and reactions occur almost on autopilot, we get angry over situations that rationally we prefer not to get angry over. A cognitive exploration into what drives us is a great way to begin cultivating awareness over automatic processes and beliefs. 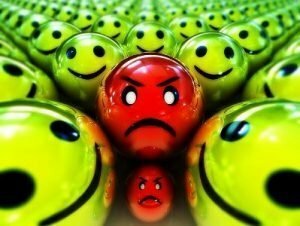 I strongly believe that while the experience of anger is normal, anger is utterly useless and sometimes detrimental when used to solve problems. Fighting with yourself, while thinking you are teaching the other a lesson, is most unhealthy. I respect your work, thankyou for all the useful content. Hi, Neat post. There’s an issue together with your web site in internet explorer, could check this… IE still is the market leader and a huge portion of folks will miss your excellent writing due to this problem. Have you ever thought about publishing an ebook or guest authoring on other websites? I have a blog based on the same topics you discuss and would really like to have you share some stories/information. I know my subscribers would value your work. If you are even remotely interested, feel free to shoot me an e-mail. Thanks , I have just been looking for info about this topic for ages and yours is the greatest I have came upon till now. But, what about the conclusion? Are you positive about the source? This is the proper blog for anybody who wants to seek out out about this topic. You realize a lot its virtually onerous to argue with you (not that I truly would need…HaHa). You positively put a new spin on a topic thats been written about for years. Great stuff, simply great! I’d need to check with you here. Which is not one thing I normally do! I enjoy studying a submit that will make people think. Also, thanks for allowing me to remark! Greetings! This is my first comment here so I just wanted to give a quick shout out and tell you I genuinely enjoy reading your blog posts. Can you recommend any other blogs/websites/forums that go over the same topics? Thanks for your time! Hello.This article was extremely interesting, especially because I was searching for thoughts on this subject last Saturday. I am now not certain where you are getting your information, but great topic. I must spend some time studying much more or understanding more. Thank you for wonderful information I used to be on the lookout for this information for my mission. I rattling pleased to find this web site on bing, just what I was searching for : D likewise bookmarked. I have been exploring for a little for any high-quality articles or weblog posts on this kind of area . Exploring in Yahoo I eventually stumbled upon this website. Studying this information So i am happy to convey that I have an incredibly just right uncanny feeling I discovered just what I needed. I so much undoubtedly will make sure to do not fail to remember this site and provides it a glance on a relentless basis. Have you ever considered writing an e-book or guest authoring on other sites? I have a blog based on the same subjects you discuss and would love to have you share some stories/information. I know my subscribers would enjoy your work. If you’re even remotely interested, feel free to send me an email. Thankyou for this terrific post, I am glad I discovered this web site on yahoo. I and my guys appeared to be reviewing the nice tricks found on the website while then came up with an awful feeling I never expressed respect to the web site owner for those secrets. The boys are already for that reason joyful to study all of them and have now actually been taking pleasure in them. Appreciation for getting indeed helpful and for deciding upon these kinds of brilliant useful guides millions of individuals are really wanting to be informed on. Our sincere regret for not saying thanks to you earlier. With havin so much content do you ever run into any problems of plagorism or copyright violation? My site has a lot of unique content I’ve either authored myself or outsourced but it looks like a lot of it is popping it up all over the internet without my permission. Do you know any techniques to help prevent content from being ripped off? I’d definitely appreciate it. Hi! Someone in my Myspace group shared this site with us so I came to check it out. I’m definitely enjoying the information. I’m book-marking and will be tweeting this to my followers! Fantastic blog and great design. Thank you a lot for providing individuals with a very remarkable opportunity to read critical reviews from this web site. It is often so pleasing and stuffed with a great time for me and my office friends to visit the blog the equivalent of three times in 7 days to see the fresh things you will have. And lastly, we’re actually happy with all the splendid secrets served by you. Certain 1 ideas in this posting are easily the best we have all had. Aw, this was a very nice post. In idea I would like to put in writing like this additionally – taking time and actual effort to make an excellent article… however what can I say… I procrastinate alot and not at all appear to get one thing done. You really make it appear really easy along with your presentation however I in finding this topic to be actually something which I feel I’d never understand. It sort of feels too complex and very vast for me. I am looking ahead in your next put up, I will attempt to get the cling of it! I was just searching for this info for some time. After 6 hours of continuous Googleing, finally I got it in your website. I wonder what is the lack of Google strategy that do not rank this kind of informative websites in top of the list. Generally the top sites are full of garbage. This internet site is my inhalation, very great layout and perfect subject material. Have you ever thought about publishing an ebook or guest authoring on other sites? I have a blog centered on the same information you discuss and would love to have you share some stories/information. I know my audience would value your work. If you’re even remotely interested, feel free to send me an email. I¦ve been exploring for a little bit for any high-quality articles or blog posts in this sort of area . Exploring in Yahoo I ultimately stumbled upon this web site. Studying this info So i¦m happy to convey that I’ve a very just right uncanny feeling I came upon exactly what I needed. I such a lot certainly will make sure to don¦t fail to remember this site and provides it a glance on a relentless basis. Hiya, I am really glad I have found this information. Today bloggers publish only about gossips and net and this is actually frustrating. A good site with exciting content, this is what I need. Thank you for keeping this website, I will be visiting it. Do you do newsletters? Can not find it. I?¦ll right away grasp your rss as I can not in finding your e-mail subscription hyperlink or e-newsletter service. Do you’ve any? Kindly permit me know in order that I may just subscribe. Thanks. Hi, i believe that i noticed you visited my weblog so i got here to “go back the favor”.I’m trying to in finding issues to improve my site!I suppose its ok to use some of your ideas!! Howdy would you mind stating which blog platform you’re working with? I’m looking to start my own blog in the near future but I’m having a tough time choosing between BlogEngine/Wordpress/B2evolution and Drupal. The reason I ask is because your layout seems different then most blogs and I’m looking for something unique. P.S Apologies for getting off-topic but I had to ask! The crux of your writing while appearing agreeable initially, did not work properly with me personally after some time. Someplace within the paragraphs you actually were able to make me a believer but only for a while. I however have got a problem with your leaps in logic and you would do well to fill in all those breaks. In the event that you actually can accomplish that, I will surely end up being amazed. Some truly wonderful info , Sword lily I noticed this. “The problem with any unwritten law is that you don’t know where to go to erase it.” by Glaser and Way. hello there and thank you to your info – I have certainly picked up anything new from proper here. I did then again expertise several technical points the use of this web site, since I skilled to reload the website lots of occasions prior to I may just get it to load correctly. I have been pondering if your web host is OK? Now not that I am complaining, however sluggish loading circumstances times will very frequently impact your placement in google and could injury your quality rating if ads and ***********|advertising|advertising|advertising and *********** with Adwords. Well I am including this RSS to my email and can glance out for a lot more of your respective exciting content. Make sure you replace this once more very soon.. I think this web site holds some real great information for everyone. “As we grow oldthe beauty steals inward.” by Ralph Waldo Emerson. Good post. I study something more difficult on different blogs everyday. It would all the time be stimulating to read content from other writers and follow a little one thing from their store. I’d prefer to use some with the content material on my blog whether or not you don’t mind. Natually I’ll offer you a link in your internet blog. Thanks for sharing. Magnificent web site. A lot of helpful info here. I am sending it to a few pals ans additionally sharing in delicious. And naturally, thanks in your effort! What i do not realize is actually how you are no longer actually a lot more smartly-favored than you may be right now. You are so intelligent. You recognize therefore considerably with regards to this subject, made me in my view consider it from numerous various angles. Its like women and men aren’t fascinated except it¦s something to do with Woman gaga! Your own stuffs outstanding. Always care for it up! You actually make it seem really easy with your presentation however I in finding this matter to be really one thing which I believe I would never understand. It sort of feels too complex and extremely wide for me. I am taking a look ahead on your next submit, I will attempt to get the hang of it! Some genuinely good blog posts on this website, regards for contribution. “Better shun the bait, than struggle in the snare.” by John Dryden. Howdy! Quick question that’s completely off topic. Do you know how to make your site mobile friendly? My weblog looks weird when viewing from my iphone4. I’m trying to find a template or plugin that might be able to resolve this problem. If you have any suggestions, please share. Thank you! Hey There. I discovered your blog the use of msn. That is a really smartly written article. I’ll make sure to bookmark it and come back to learn extra of your useful info. Thanks for the post. I’ll certainly comeback. I am curious to find out what blog platform you have been using? I’m having some minor security issues with my latest blog and I would like to find something more risk-free. Do you have any suggestions? I?¦ve read a few good stuff here. Certainly worth bookmarking for revisiting. I surprise how so much effort you put to make any such magnificent informative web site. as I website possessor I believe the written content here is very good, thankyou for your efforts. I needed to write you one little bit of remark to help say thanks the moment again for your exceptional things you have documented above. This is simply incredibly generous of you to make openly what a number of us might have made available for an electronic book to get some cash for themselves, principally considering that you might have done it in case you considered necessary. These strategies additionally served to be a great way to recognize that many people have similar passion similar to my own to realize a lot more concerning this issue. I know there are a lot more pleasant moments in the future for those who read carefully your site. hi!,I really like your writing so a lot! share we be in contact extra about your post on AOL? I need an expert on this area to unravel my problem. Maybe that is you! Looking forward to look you. It is in reality a nice and useful piece of information. I’m satisfied that you shared this helpful info with us. Please keep us up to date like this. Thank you for sharing. You made some decent points there. I looked on the internet for the problem and located most individuals will go together with with your website. Magnificent web site. Plenty of helpful information here. I?¦m sending it to a few pals ans additionally sharing in delicious. And obviously, thank you for your effort! Oh my goodness! Incredible article dude! Thanks, However I am experiencing problems with your RSS. I don’t know why I cannot subscribe to it. Is there anybody getting the same RSS issues? Anyone that knows the solution can you kindly respond? Thanks!! Hi there! I just would like to offer you a huge thumbs up for your great information you have got right here on this post. I’ll be coming back to your website for more soon. Hello there, I found your website via Google whilst searching for a similar matter, your website came up, it appears to be like good. I’ve bookmarked it in my google bookmarks. Hmm it appears like your website ate my first comment (it was extremely long) so I guess I’ll just sum it up what I wrote and say, I’m thoroughly enjoying your blog. I as well am an aspiring blog writer but I’m still new to the whole thing. Do you have any recommendations for novice blog writers? I’d certainly appreciate it. I believe this web site has very superb pent content content. It’s really a great and helpful piece of information. I’m glad that you just shared this useful info with us. Please stay us informed like this. Thank you for sharing. Aw, this was an extremely nice post. Taking a few minutes and actual effort to make a superb article… but what can I say… I procrastinate a lot and never manage to get nearly anything done. It’s the best time to make a few plans for the long run and it’s time to be happy. I have learn this submit and if I could I wish to counsel you few interesting things or advice. Perhaps you could write subsequent articles regarding this article. I wish to read more issues approximately it! I am now not positive the place you are getting your information, however good topic. I needs to spend some time studying much more or figuring out more. Thanks for magnificent information I was looking for this info for my mission. Oh my goodness! Awesome article dude! Thank you so much, However I am going through issues with your RSS. I don’t understand why I can’t join it. Is there anyone else having the same RSS problems? Anyone that knows the solution can you kindly respond? Thanx!! hi!,I love your writing so a lot! percentage we keep up a correspondence more about your article on AOL? I require an expert on this space to solve my problem. Maybe that is you! Looking forward to look you. Thanks for sharing excellent informations. Your web-site is very cool. I am impressed by the details that you have on this blog. It reveals how nicely you understand this subject. Bookmarked this web page, will come back for extra articles. You, my pal, ROCK! I found just the info I already searched all over the place and just couldn’t come across. What a perfect site. Fantastic items from you, man. I’ve understand your stuff prior to and you are just too magnificent. I really like what you have got right here, really like what you are stating and the way by which you are saying it. You’re making it entertaining and you continue to care for to keep it wise. I can not wait to read much more from you. This is actually a tremendous site. Magnificent items from you, man. I’ve have in mind your stuff prior to and you’re just too wonderful. I really like what you have acquired right here, certainly like what you are saying and the way in which in which you assert it. You’re making it enjoyable and you continue to care for to stay it sensible. I can not wait to learn much more from you. That is actually a terrific website. I must voice my appreciation for your kind-heartedness supporting folks that actually need help with in this study. Your real dedication to getting the message across had been extraordinarily practical and have regularly empowered most people much like me to achieve their objectives. This useful key points implies a whole lot a person like me and a whole lot more to my colleagues. Best wishes; from everyone of us. Someone essentially help to make seriously posts I might state. That is the very first time I frequented your web page and so far? I amazed with the analysis you made to create this actual put up amazing. Great activity!